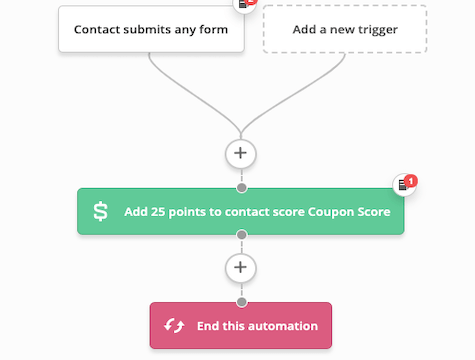 Add points to a score each time a form is submitted. This might be used to add points each time a lead magnet form is submitted. The point value is a suggestion. You'll want to edit it to what makes sense for your score.